Pomegranate means apple with many seeds. It was called as the “apple of Grenada” in early English. In Hinduism, this fruit symbolizes prosperity and fertility. Pomegranate trees can live upto 200 years. 1 kg of durian contains 1350 calories which may cause weight gain. It may have a hyperthermic effect on the body, making you feel warmer. 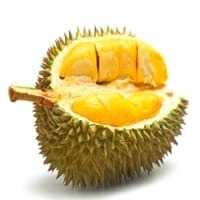 Study shows that durian has an ability to reduce infertility in men & women. 76% High Calorie Fruits Fruits have it ! 88% High Calorie Fruits Fruits have it ! 65% High Calorie Fruits Fruits have it ! 94% High Calorie Fruits Fruits have it ! We might think that Pomegranate and Durian are similar with respect to nutritional value and health benefits. But the nutrient content of both fruits is different. Pomegranate and Durian Facts such as their taste, shape, color, and size are also distinct. The difference between Pomegranate and Durian is explained here. The amount of calories in 100 gm of fresh Pomegranate and Durian with peel is Not Available and Not Available and the amount of calories without peel is 83.00 kcal and 147.00 kcal respectively. 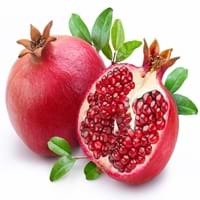 Thus, Pomegranate and Durian belong to High Calorie Fruits and High Calorie Fruits category.These fruits might or might not differ with respect to their scientific classification. The order of Pomegranate and Durian is Myrtales and Malvales respectively. Pomegranate belongs to Lythraceae family and Durian belongs to Malvaceae family. Pomegranate belongs to Punica genus of P. granatum species and Durian belongs to Durio genus of D. zibethinus species. Beings plants, both fruits belong to Plantae Kingdom.